Politicians have always sought refuge in fantasy or subterfuge when confronted by uncomfortable facts. So why the sudden concern with the emergence of “post-truth” politics? 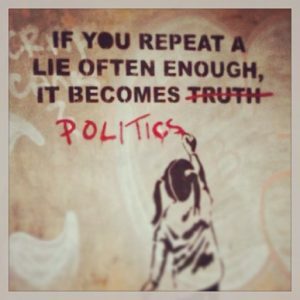 Two factors can be identified that confirm that the landscape of public discourse has changed: first, the brazenness with which some politicians have unshackled themselves from the constraints of evidence and reality, and second, the public’s acquiescence with this flight into fantasy land. These factors are particularly evident in two political contests that have dominated the UK and the U.S. in 2016; namely, the EU referendum and the American presidential election. 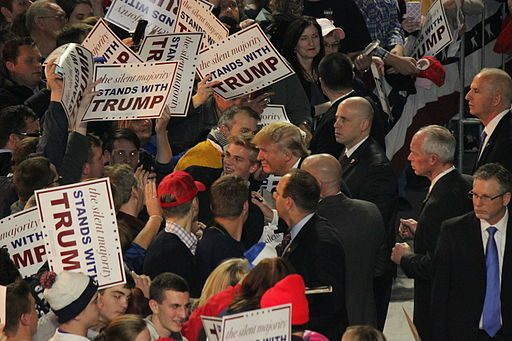 In the U.S., the pronouncements of Republican candidate Donald Trump are demonstrably false around 70% of the time, according to the independent non-partisan fact-checking site Politifact. Only 4% of Trump’s statements were judged to be unambiguously true. In the UK, many claims of the Leave campaign in the lead-up to the referendum were likewise clearly false, from the claim that the UK transferred £340,000,000 per week to the EU, to the spectre of Turkey joining the EU and its citizens becoming eligible for residence in the UK. Trump’s false claims have been routinely debunked by the American media, but this has had little effect on his standing in the polls. Similarly, the mythical figures of the Leave campaign were widely condemned and corrected in the media, without any discernible impact on opinion polls or the public’s beliefs. 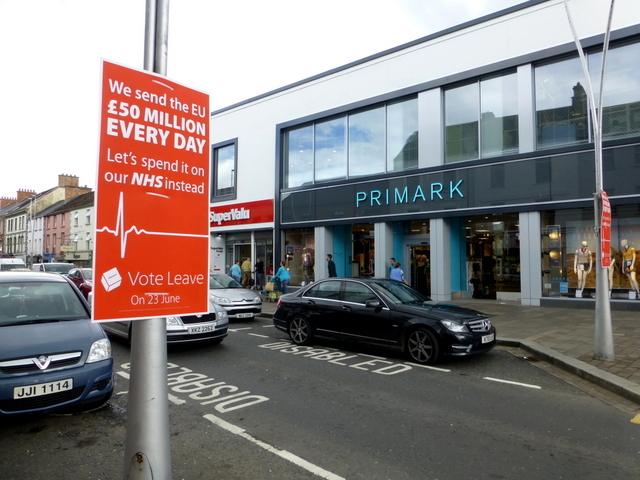 Nonetheless, the Leave campaign brazenly continued to display their false figure on their campaign bus to the very end, only for Nigel Farage to admit their inaccuracy on TV within a few hours of the polls closing. And in defiance of all fact-checking, Donald Trump has thus far shown no inclination to let his campaign speeches be infiltrated by facts or evidence. It is unsurprising that the Washington Post has wondered how democracy can survive if facts no longer matter. Why do facts no longer matter to so many people? And if facts no longer matter, what does? It is true that some Trump supporters belong to that category, as did many Britons who voted to leave the E.U. But by and large Trump supporters are not the wretched of the earth. The median income of Trump supporters is around $10,000 higher than that of Clinton supporters. If only men voted, polls have suggested that Trump would win the election by a landslide. The “edges of the economy” do not encompass the majority of American men. And although Brexit found more support among low income earners than wealthier Britons, that effect was dwarfed by attitudinal variables such as support for the death penalty, strength of “English identity”, rejection of gay equality, and anti-immigration attitudes. Those same attitudes are also the strongest predictors of support for Trump among Republican voters in the U.S. Among those who believe that newcomers are threatening American values, Trump support is high, and it is low among those who believe that the U.S. is strengthened by immigration. Likewise, hostility towards women is one of the strongest predictors of support for Trump. Trump and Brexit are phenomena that have tapped into people’s deeply-held attitudes. The EU referendum ultimately was a contest between the voices of diversity and tolerance on the one hand, and nationalism and exclusion on the other, rather than a competition between different economic visions for the future. Trump and Brexit are about emotions, not the economics of the moment. It is how people feel about themselves and others. And emotions operate to a logic that is largely independent of facts and evidence. But that does not mean those emotions are illogical or erupt on their own, like some sociological volcano, without any possibility of guidance or control. Far from it. Hatred of Muslims or immigrants, misogyny, and ethnic supremacism do not erupt, they are stoked. 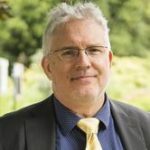 We now know from painstakingly detailed research that the “Tea Party” in the U.S. was not a spontaneous manifestation of “grassroots” opposition to President Obama’s healthcare initiative but the result of long-standing design efforts by Libertarian “think tanks” and political operatives pursuing an anti-regulatory agenda. Donald Trump did not come out of nowhere but learned his trade from Sen. Joe McCarthy’s chief counsel who was the brains behind the paranoid hunt for communist infiltrators in the 1950s. Likewise, the negative attitudes towards the E.U. in England did not spontaneously emerge but were shaped by decades of mendacious tabloid coverage that immersed the public in industrial-strength misinformation about the E.U. The anti-immigration attitudes that are particularly rampant in regions devoid of immigrants did not grow naturally but were stoked by relentless media spin. If Brexit and Trump are driven by emotion and attitudes, fuelled by misinformation and demagoguery, rather than (just) economic concerns, what does this portend for the future? The government floated the idea that UK companies would be forced to publish the proportion of “international” staff on their books to “name and shame” businesses who do not employ British workers. In fact, the employment rate for UK nationals is the highest since records began in 1997. The government announced a crackdown on foreign students coming to the UK, even though foreign students are not permanent immigrants and bring £10.7bn to the UK economy, and non-EU international students make up 13% of universities’ revenues. Parliament voted down a motion to protect the rights of EU nationals who currently live and work in the UK, thereby turning millions of people into bargaining chips whose future is uncertain. At least one Tory MP has called for dental checks on the few child refugees who will be admitted to the UK from the Calais refugee camps, to ensure that they do not exceed the maximum age for compassion. The Prime Minister has suggested that overseas doctors would only be welcome to work for the NHS until enough home-grown recruits have been educated. The Independent Press Standards Organisation has dismissed complaints about a Sun column that referred to refugees as a “plague of feral humans” and “cockroaches”, reminiscent of language implicated in triggering the Rwandan genocide. This selection is neither exhaustive nor necessarily representative, as there may be many policy proposals and actions that escape public notice because they are less controversial. Nonetheless, those actions do not reveal an attitude that considers the French or German people as neighbouring vintners whom we might visit for anything from a short holiday to a gap year or indeed retirement. Those actions do not consider the Belgian people as friendly neighbours who like their beer cooler and stronger and their chocolate particularly exquisite. Those actions fail to remember that the EU won the Nobel Peace Prize in 2012 for transforming Europe from a continent of war to a continent of peace. Those actions also fail to mesh with the feelings of the European people who lit up their landmarks—from the Eiffel Tower to the Ponte Vecchio—in Union Jack colours on the evening of the referendum in a gesture of appreciation of the UK’s membership in the E.U. 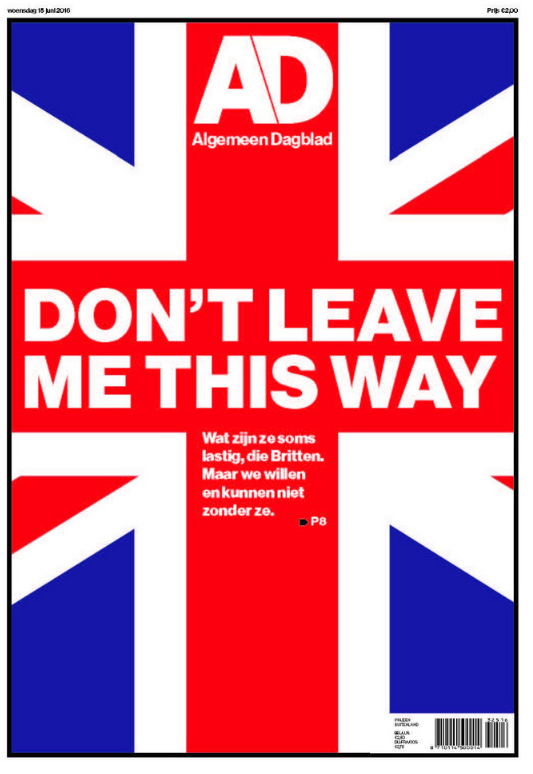 Front page of the Algemeen Dagblad, Dutch newspaper, 15th June 2016. The paper issued an open letter in English titled “please don’t leave us”. It remains to be seen how those initial actions and proposals will translate into long-term policy, but they do not augur well for a future climate of tolerance and diversity in the UK and towards its closest neighbours. Similarly, if Donald Trump wins the presidency, it is difficult to be optimistic about the prospects for tolerance and continued protection of civil rights in America. First, the xenophobia of Trump and the anti-immigrant slant of the Leave campaign are not coincidental features of campaigns that are pursuing some other substantive agenda. On the contrary, it is difficult to escape the conclusion that xenophobia and white nativist supremacy are the agenda. Second, the contemporary Republican Party and its British counterpart have very little in common with the parties that each used to be. 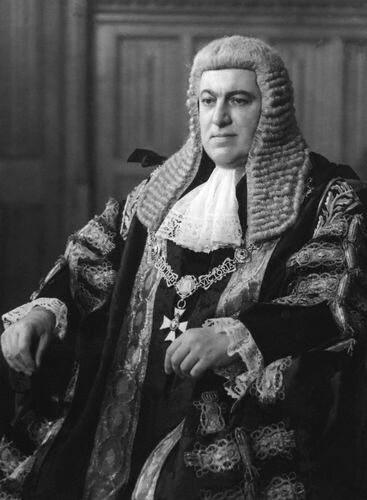 The British Tory party was instrumental in drafting the European Convention on Human Rights in the 1950s and Winston Churchill was one of its ardent supporters. The contemporary Tory party is now committed to withdrawing from it, to the alarm of human rights organisations. The Republican Party used to be the party of the conservative but pragmatic establishment, with figures such as Ike Eisenhower or Gerald Ford. Today, Trump’s evident authoritarianism is only the beginning of the transformation of that former Republican Party into an off-shoot with troubling and chilling attributes: A party that finds little wrong with a candidate who refuses to promise that he will abide by election results has at best a tenuous grip on the democratic mainstream. A party that brazenly promises not to confirm any nominee for the Supreme Court if Hillary Clinton is elected president is a party that has taken leave from democratic practice and traditions. We should not ignore those realities however discomforting they may be. This entry was posted in brexit, Global political economy, Research, Social change and diversity and tagged brexit, democracy, Donald Trump, elections, emotion, EU referendum, evidence, fact-checking, misinformation, politics, post-truth, psychology, US Presidential Elections 2016, Vote Leave campaign by policybristol. Bookmark the permalink.